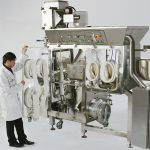 PSL’s high containment milling and micronizing solutions are innovatively designed for safe size reduction of active ingredients. 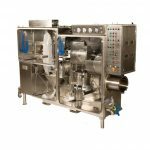 We have the understanding and expertise of every type of mill (pin mill, comill, jet mill) and can provide total integration and operation within our process isolators. 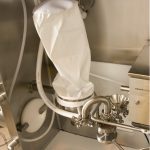 PSL’s Micronizing Isolator features total containment isolators whilst milling compounds along with a controlled safe environment. All equipment can be purged with nitrogen to prevent dust explosions and can achieve less than 1% Oxygen. 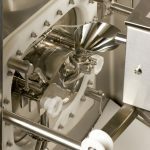 PSL Universal Milling Isolators provide interchangeable process mills with integrated feeder and particle size analyser in a compact design with excellence ergonomics including L-shape window for better visibility. PSL Isolators and Glove Boxes are all compliant with Good Manufacturing Practice (cGMP) and are designed in accordance with the required local and international regulations. 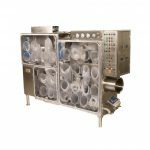 PSL provide a standard 4mm stainless main body construction for precision-built systems designed for longevity. 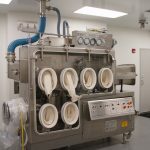 Our process specialists provide 3D models and full-scale mock-ups when necessary and assured containment to nanogram levels including Containment Performance Testing protocol.